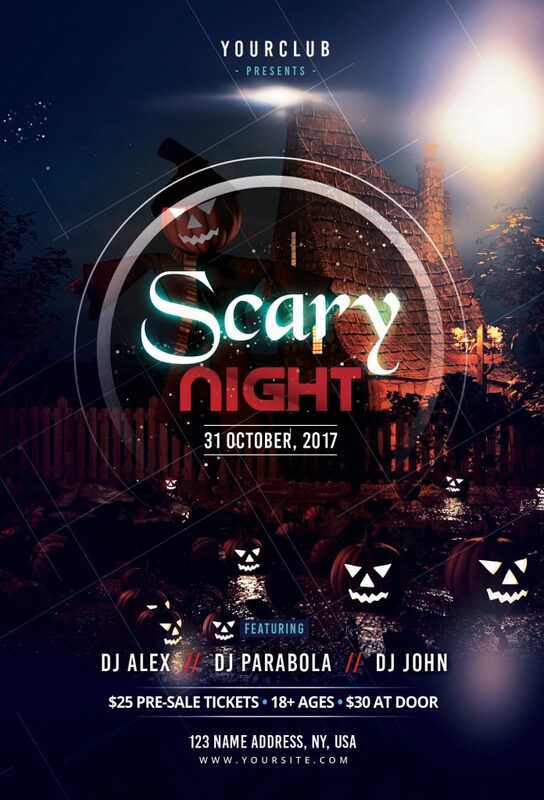 Scary Night is a Free Photoshop PSD Flyer to use for your Halloween Party, Halloween Festival, or other business promotion. 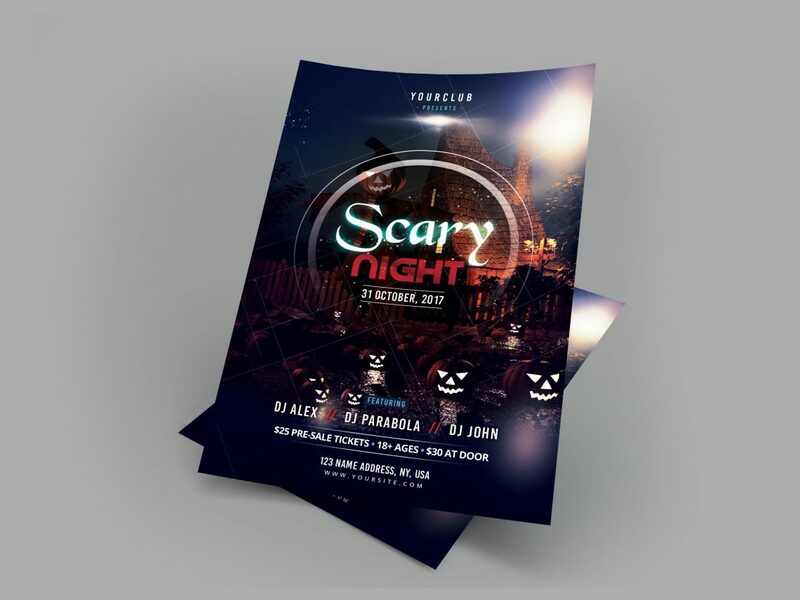 PSD File is designed with Halloween elements such as Pumpkins, Zombies Hands, lights and geometric shapes (all are editable).Scary Night Flyer is a Free PSD Flyer Template. This PSD File is very easy to edit, change the color, text, shapes or other elements that you can easy add/delete. Help file have a guide on how you can customize colors and more helpful information.